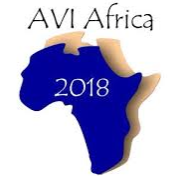 Avi Africa is the largest poultry conference and exhibition event in Africa and is hosted yearly at Emperors Palace for 3 days. Avi Africa is a platform that allows for the interaction and the exchange of knowledge for both commercial and emerging farmers. The exhibition showcases the latest technology in equipment, advances in feed additives and feed, techniques and services aimed at improving production efficiency and maximising profit of both commercial and emerging poultry agricultural enterprises. Multiple talks are hosted throughout the 3-day period which aim to address key concerns that the industry face and to provide advice.